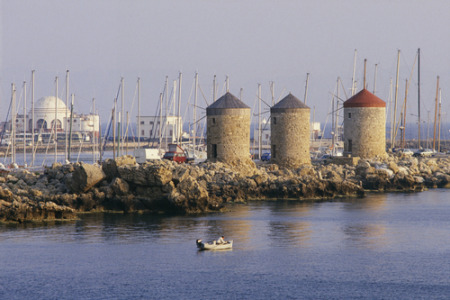 Pastida is a traditional village lying a short distance from the sea, north of Rhodes Town. Pastida holidays offer a relaxing retreat away from the hustle and bustle of the busy coastal resorts. It is popular with couples and those who enjoy rambling. Holidays to Pastida can be taken from March to November when the temperature ranges from twenty to thirty degrees. Early and late season are best for those taking a walking holiday when the temperature is pleasantly warm. We have a number of cheap Pastida holidays which you may find enticing. Lying only seven kilometres from Trianta, visitors can bask on sunny beaches and bathe in crystal clear waters before returning to the tranquility of their chosen resort. Holidays in Pastida offer an authentic island atmosphere where summer sun is guaranteed, accommodation first rate, and restaurants and tavernas satisfy most tastes. If you are seeking a romantic break in charming surroundings, check out our latest Pastida holiday offers and you could soon be on your way. For further information and to view our last minute Pastida holiday deals, please use the search facility.